‘Live Tracking’ – Why do On-demand delivery services skip it? On demand delivery startups have become the norm in this age and time. Most of these startups choose from a variety of SDK’s available on the market to develop their mobile application. But ‘Why are they doing this?’ is a question to be asked. From a simple market analysis standpoint, most of these startups have a sense of urgency to root a firm place in the market or do not have the funds to hire developers to develop the app from scratch. As a result the app turns out to be too generic and tends to skip all the important features. One such important feature which is widely underestimated or underrated is live tracking. 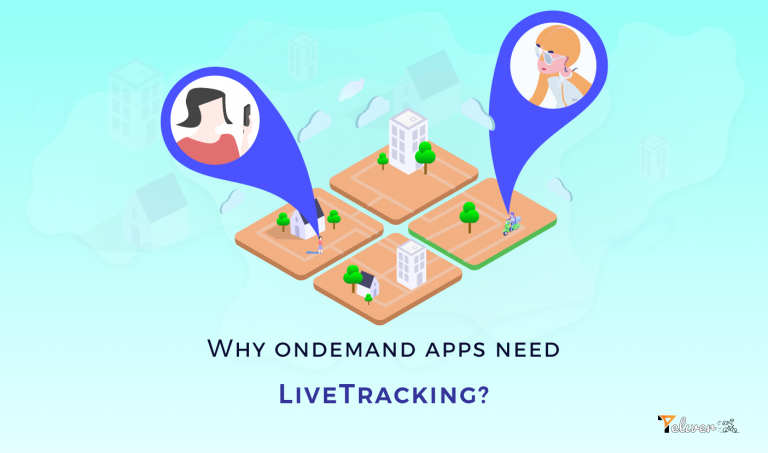 From the calls I have made to these startups, almost 80% of them don’t know what live tracking is unless I give an example or jump into the conclusion that its either too much of a task to implement or just expensive. They simply don’t need live tracking. But what is the role of live tracking in an on-demand delivery service? Live tracking plays an important role especially in huge cities where a person’s day to day life is busy and agile. Live tracking plays an important role in customer knowing where the delivery/driver is and helps him make plans accordingly. GPS doesn’t always help the drivers as its accuracy is questionable especially in big cities where addresses tend to register incorrectly with the navigation system. In such cases, Live tracking enables the customer to know where the driver is and also enables him to communicate with the driver and guide him to the proper destination. By adapting this, unnecessary delays can be avoided and delivery can be sped up. Most of these startups don’t realize the level of confusion a live tracking feature can overcome. So what is the solution for startups low on funds? SDK’s for live tracking have started to creep up the technology market where the entire live tracking feature is built from scratch into an SDK and takes less than an hour to implement it into a mobile application. Apart from this, understanding the Start-Up ground Live Tracking SDKs are made available at a very reasonable rate. This does not require too much developer knowledge and only requires few lines of code to implement. What are the companies developing this SDK then? One such company which has developed such an SDK is Quadkast Technologies. Their product Teliver is a live tracking SDK which has all the features mentioned above. Better yet, it is free to use for the first 120 trips and only costs a meagre 29$ for 600 trips as the starting price. Teliver also includes a customized plan and an add-on plan where you can choose the number of trips you want per month or add extra trips to a month. What is your On-Demand Application missing (It’s Big)? A subsidary of Quadkast Technologies Pvt. Ltd.